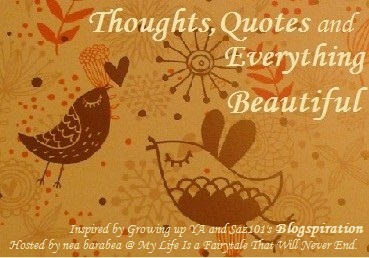 Thoughts, Quotes and Everything Beautiful #3 - My Life Is A Fairytale That Will Never End. Found here: Love quotes and sayings. I'm in a bad place right now. I honestly don't know what to do with myself. I try not to think about it but it's stressing me out big time. And on top of that, I am so incredibly bored. So, so bored. I'm not giving up though. I can't. And I won't. When life gives you lemons, demand for tequila and salt. HA! Now, I only need to find where did they hide the tequila and salt. Lovely quote! 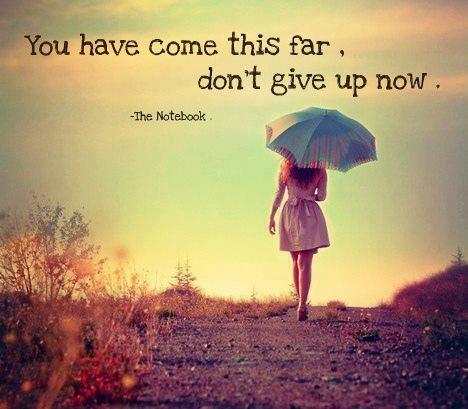 Sometimes we got to just keep going and pushing through and then things usually get better and I hope they do for you! Good luck!